“You can sit in a room and be thought a fool, or you can open your mouth and remove all doubt”. What separates the best from the rest? What is it about the persona or message of great communicators that moves people and creates action? I would suggest that it all starts with a mastery of and a comfort with the spoken word, along with the ability to express ideas clearly. I would also suggest that a high degree of sincerity and trustworthiness is likewise applicable. Finally, it’s always helpful to know what you’re talking about. There is no such thing as private speaking. Famous examples from business, politics, sports and pop culture have left indelible impressions over the last year – both for better and for worse. Breaking out of the mold, the best communicators stepped up to the plate (one of them did that, literally), authentically speaking from the heart and letting passion drive. Likable, consistent and remarkably humble, they consistently connected with their audiences. John Wooden. One of the most decorated coaches of any sport, Wooden helped transform the lives of hundreds of young men that came into his basketball program at UCLA. He is remembered not only for winning 10 NCAA national championships in 12 years, but for the discipline he demanded from himself and his players. Wooden was renowned for his short, simple inspirational messages to his players, including his “Pyramid of Success” book. Winston Churchill. At the onset of World War II, England was in very real danger of being invaded and overrun by the seemingly invincible Nazi war machine. 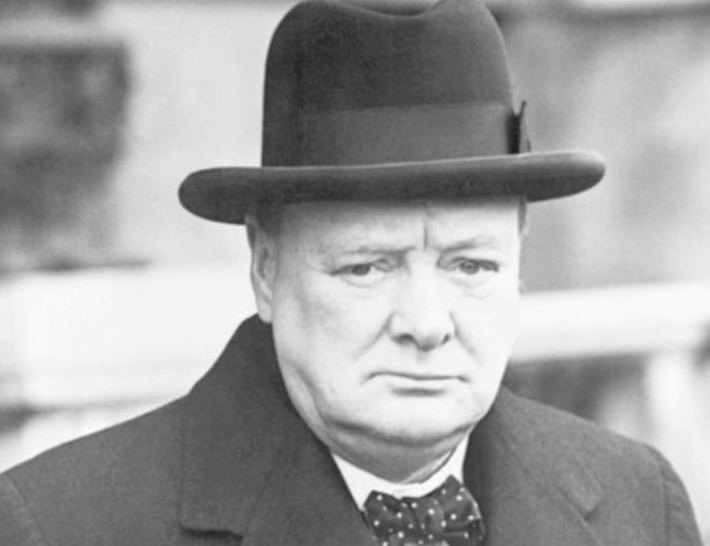 Churchill inspired his island nation not only with his memorable, magnificent words, but with his stubborn determination and indomitable courage to repulse the Germans and see the war through to a successful conclusion. And in the end, he was the leader who prevailed. Ronald Reagan. The 40th President of the United States was often referred to as The Great Communicator. A trained actor, Reagan served as Governor of California before seeking national elective office. His wit, humor, and insight were used to great effect in his speeches, and his personal charm. Robin Williams – He epitomized a critical skill of all top communicators – spontaneity and the ability to live in the moment. And of course he was unique, funny, and deserving of in memoriam honors for his work. But above all – he was present. He took what came at him, and made it work, as in this interruption during a USO Show last year. He used his brilliant mind, as well as his body and props to add physical expression to his words, as in his breakthrough first appearance on Johnny Carson’s Tonight Show, as well as its final broadcast. Even when he gave a prepared acceptance speech for his Oscar in 1998, he was able to add humor in the moment, stay on track and inspire people at the same time.